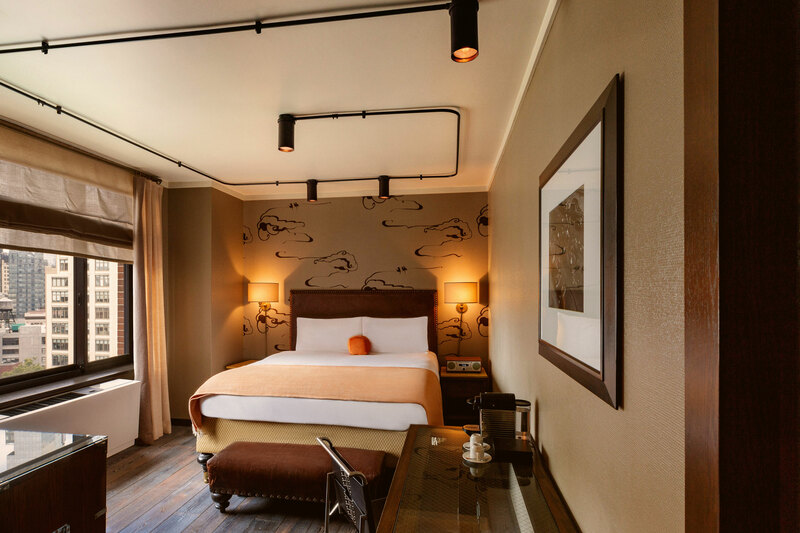 The spacious, 300 square foot Studio King Room features ample floor space for longer stays, a deluxe bathroom with an inset closet, pillow top custom king bed with down comforter and pillows, wood floors and glass-top desk ideal for business travelers. Custom furnishings include a distressed leather headboard with bronze nail detailing, marble top bedside tables inspired by the Ducal Court sculpture workshop, corseted leather Eileen Gray desk chairs, Nespresso machine, solid walnut armoires with mirrored glass doors, and a local gourmet mini bar inspired by weathered vintage travel trunks. 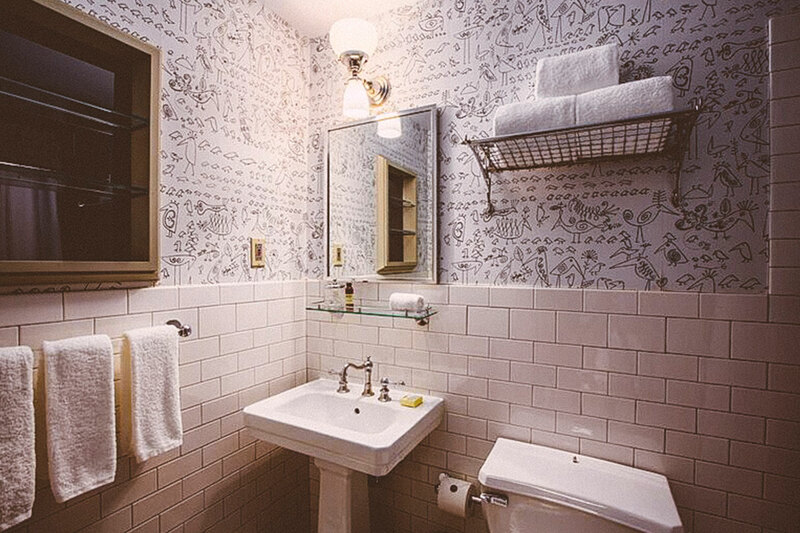 Industrial track lighting on the ceiling is a nod to the neighborhood’s history and the bathroom features white subway tile, a tub and New Yorker cartoonist Saul Steinberg-designed aviary wallpaper.